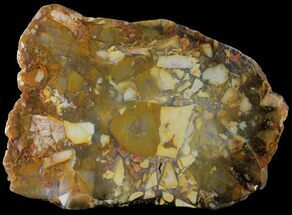 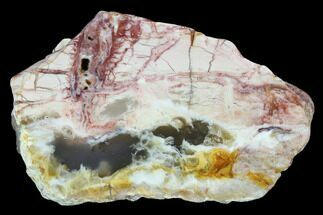 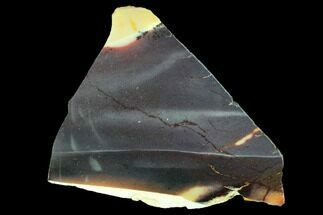 This is a 4.3" wide, polished section of vibrantly colored Mookaite. 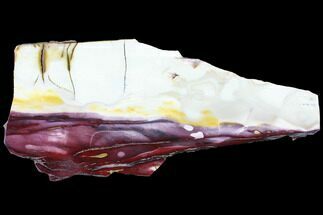 One side has been polished to a mirror like finish and it's accompanied by an acrylic display stand. 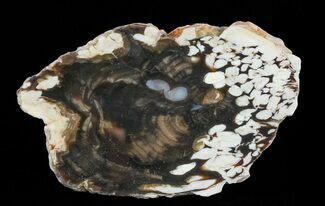 A very nice decorative piece. 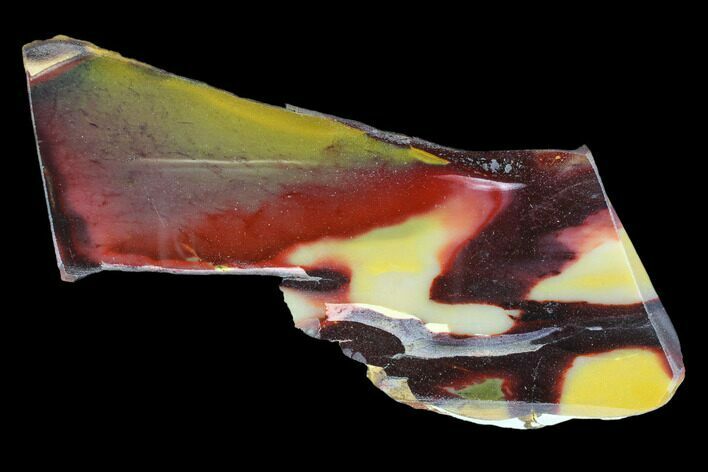 This stunning multi colored stone is found in the Kennedy Ranges near Gascoyne Junction in Western Australia. 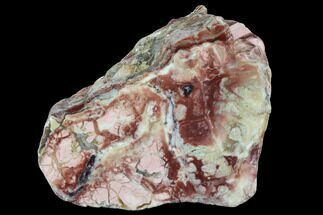 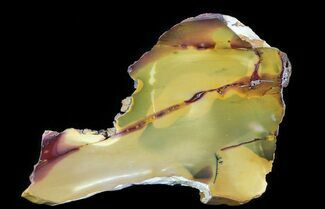 Mookaite can be described as chert, opalite, chalcedony or combinations of the three. 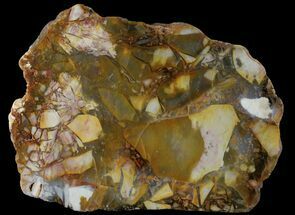 It's believed that it was formed when "silica rich, mineralised solutions have seeped through the radiolarite pavement beneath the floor of the usually dry creek bed. 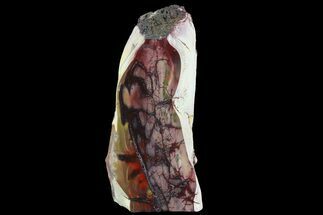 These solutions have concentrated in various horizons and formed as nodules & sheets of multi-colored chalcedony."